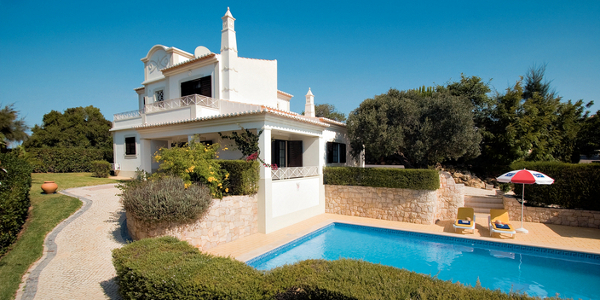 Own A Property In Portugal? Quinta da Amizade is an exclusive residence located in a quiet, tranquil area in the countryside of Vale de Parra, with marvellous views across Vale de Parra to the sea. Only 6km west of Albufeira, and 2km from the nearest beach of Galé, it is well situated to enjoy all the Algarve has to offer. 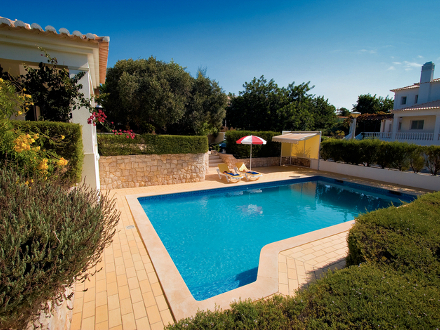 We have four villas in Quinta da Amizade that can be rented separately or together if holidaying as part of a larger group. They are furnished in a similar light and airy style with immaculate gardens and a private, south-facing swimming pool each. 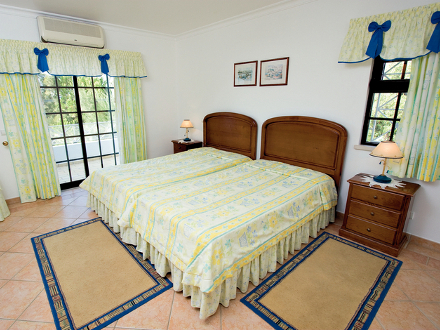 The villas are well equipped and offer air conditioning and WiFi. 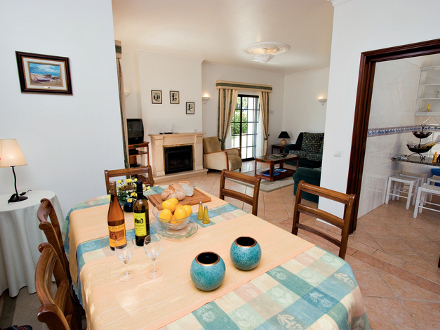 Casa Ladeira is a 4 bedroom villa. 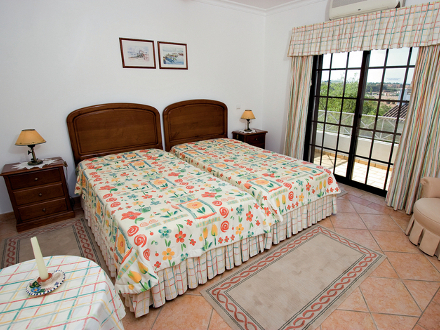 On the ground floor there is a twin bedroom, a double bedroom and two bathrooms - one en suite. Upstairs the two twin bedrooms there both have en suite bathrooms and private terraces with beautiful views across to the sea. The outside is completely fenced with a gated area and has a parking area within the grounds. There is a purpose built barbecue and shaded dining area outside the kitchen at the rear of the property. Beside the pool is a shaded lawn. 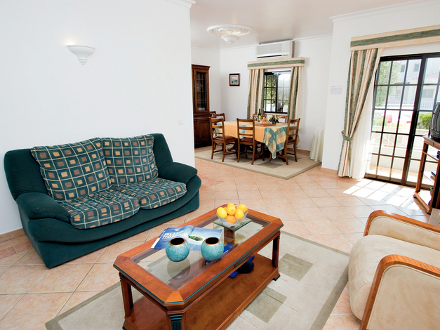 Where holidays cross 2 seasons, the rent payable is at the appropriate daily rate. Currency conversions from Euros to Sterling are only an indication and may vary slightly at the time of booking. Click the images above to see larger versions.